About Peahen Publishing. Want to publish your children's story? Need a publisher? We are a children's book publisher. 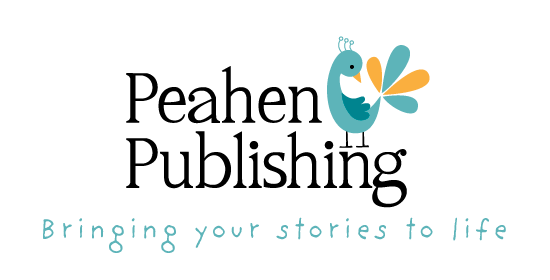 Self publish your children's story with Peahen. Peahen is here to help you publish your children's book. 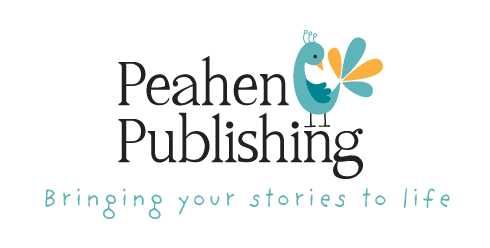 Peahen Publishing offers everything from a straightforward line edit to an all-singing, all-dancing approach where we design, publish and print your book. Peahen has a great team of designers and editors to ensure that the format, layout and design is the best it can be for your book and your budget. If artwork is required, Peahen will source the right illustrator for the job, only working with professionals. We appreciate that every story is different, so we will review your manuscript and create a publishing plan especially for you. The result is a high quality, ISBN registered book that is bookshop-ready. "Personally speaking, having my story published was an exciting and rewarding experience. This was made possible by Carly and her team at Peahen. Carly listened to my ideas, and suggested ways in which I could develop them further. Her attention to detail was meticulous and she could spot things that I hadn't even considered. She demands nothing but perfection from start to finish and makes sure everything is presented correctly. The different fonts were superbly chosen, and this has enhanced the story, helping the reader to enunciate the different characters. Most of all I am so pleased with the layout of my artwork. She brought my story to life, in a way that I couldn't have imagined! Carly kept to the time frame and we corresponded frequently to get everything done for the deadline I had requested. She replied quickly to any concerns I had, and kept me informed with the progress of the printing procedure. I would definitely recommend Peahen Publishing as a way to bring your story to life."